As your data provider,we work with you to deliver your solutions that seamlessly connect your offices, staff and customers. From connecting offices and sites to sharing and exchanging mission-critical information, we partner with you to deliver solutions that meet your needs. 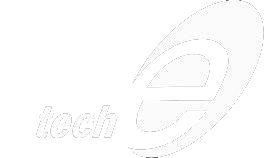 Tech-e Ethernet product provides high-speed broadband connectivity between regional sites and major metropolitan areas. It’s particularly popular with companies with offices and work sites in remote areas, needing connectivity between each other and city offices. Tech-e works with clients to design and implement a tailored Ethernet solution to meet a business’ needs now and into the future. We guarantee service availability 99.95 per cent of the year, providing unrivalled reliability in remote Queensland. Ethernet typically provides internet, database and voice communication services. The physical interface is a designated Ethernet port on a Customer Edge switch which is provided and maintained. We are also taking steps to enable our clients to tap into satellite technology, reducing the need to build physical infrastructure. • Flexibility – we design for you to ensure your needs are addressed now and well into the future. To see if your location can connect with Fibre contact us.